We had a great time at AU2013 earlier in the month. We started off the week by having a Welcome Reception at SUSHISAMBA and had over 40 customers attend. We had the chance to speak with customers about real-world designs and challenges and share these with the Autodesk team. We offered the chance to win an iPad Air by dropping a card in t he fish bowl. The winner was drawn live during the Beer Bash on Wednesday evening. Mark Kiker, CADDManager.com, was drawn as the winner. You can read his blog CADDMananger.com and see his detailed day-by-day wrap up of AU2013. 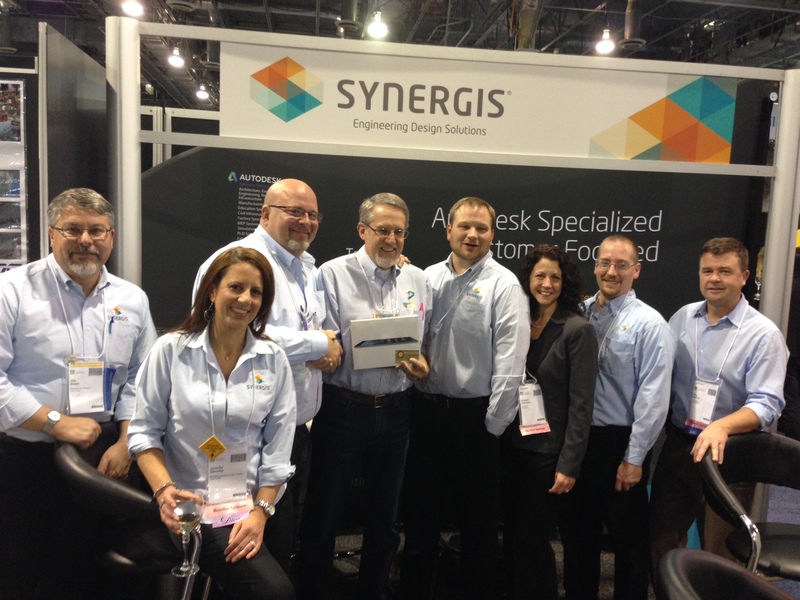 We are also very proud of Todd Schmoock, Synergis Solutions Engineer, who presented again at AU2013. You can check out his session video and documents on Modifying the AutoCAD Electrical Environment on Autodesk Online. Register for free if you don’t already have an account to watch the video. To see all his previous AU session materials from previous years, click here. We had a great time speaking to hundreds of Autodesk users and employees. We listened to the industry speakers and presenters and are more certain than ever that we have the knowledge and experience as an Autodesk Platinum Partner to help you stay ahead.